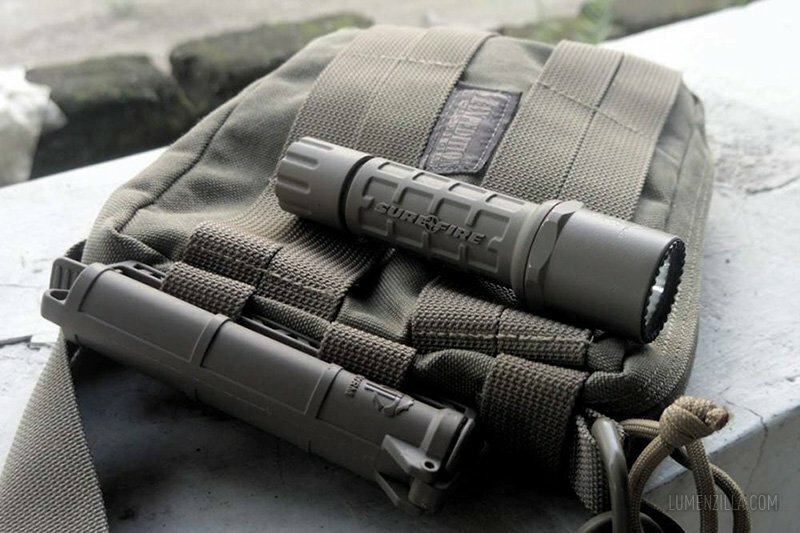 When talking about tactical flashlight, things that popped in mind is tactical bezel and intimidating appearance. But Klarus XT1C is somewhat different. 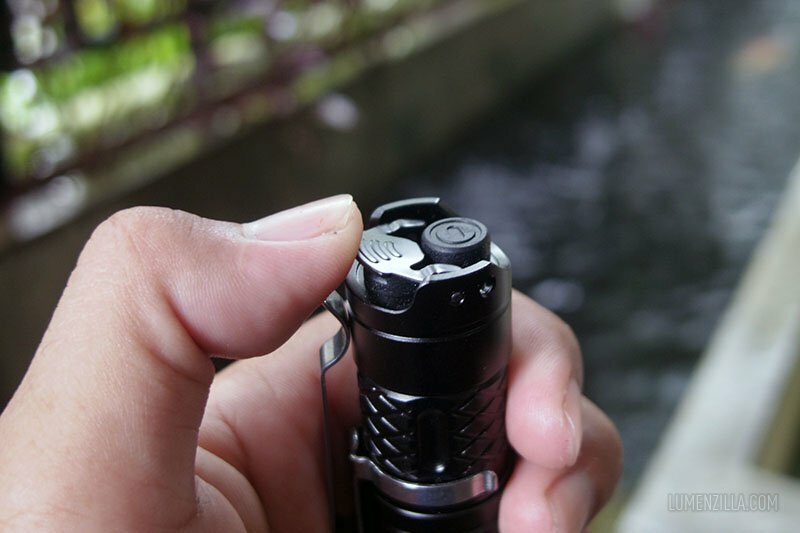 It’s a tactical flashlight powered by single RCR123 (16340) battery and takes benefit of dual switches at its tail cap for easier access to particular modes. Before continuing the review, I will say that I got positive impression with this tactical flashlight with some small notes. You may noticed a text saying “programmable”, let me explain something about it. 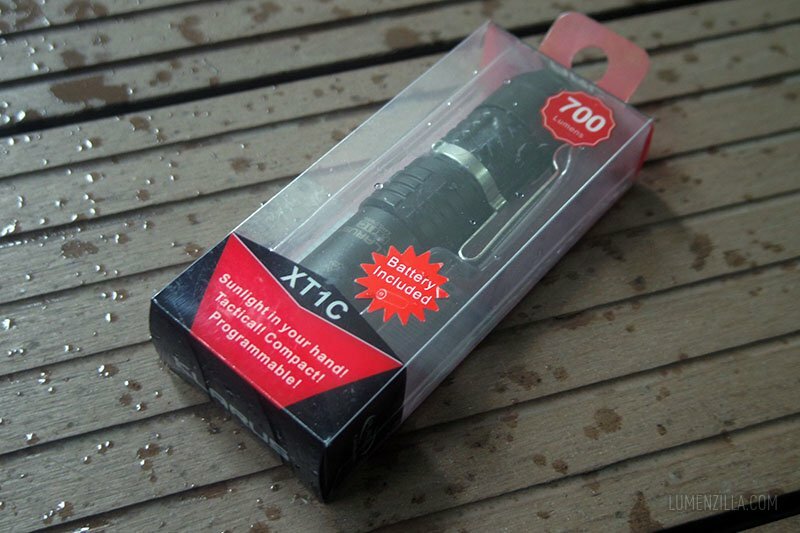 One key feature of “tactical flashlight” is that the flashlight should always start from highest brightness level. Not only Klarus gives this crucial feature to XT1C, it also gives option for the owner to choose between tactical and adventure mode. I’ll talk about it later in the “Operating Klarus XT1C” section. One nice thing to notice is that Klarus added a single sheet of plastic over the positive pole of the battery to avoid accidental activation during distribution. Two things that can be improved is the knurling pattern on its tube and the pocket clip. Large diamond pattern knurlings is a bit out of harmony compared to its overall design — although it’s not bad either. 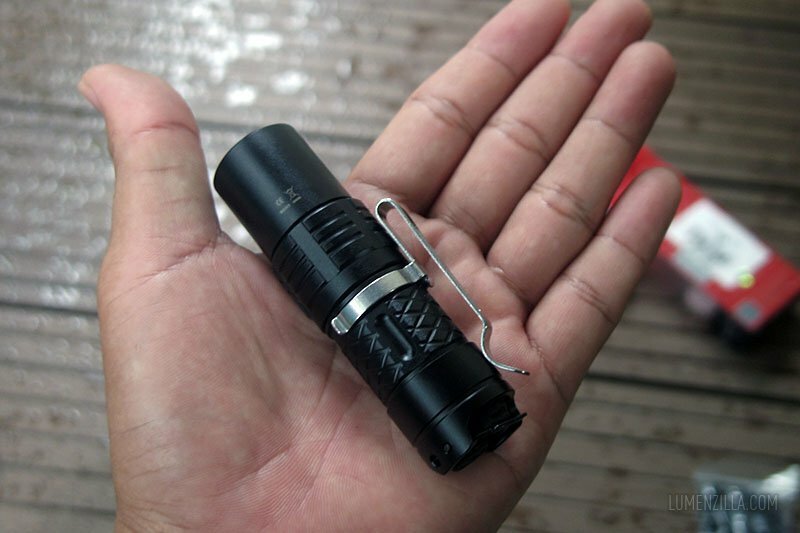 Detachable pocket clip also made this flashlight looks cheap although it’s pretty strong. The good thing is that clip position is reversible. 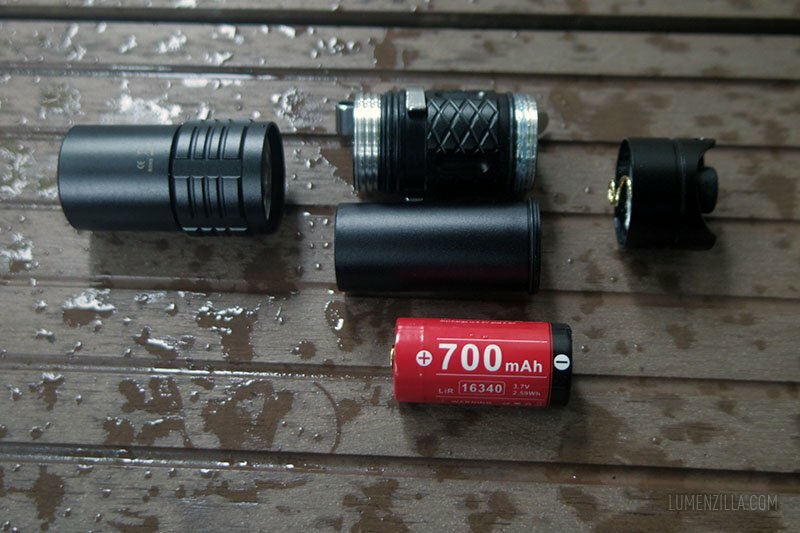 It’s always fun to see how a flashlight is made and what technology they are using. So I disassembled XT1C and found that it also has “inner tube” just like Klarus G20 I reviewed earlier before. One key feature of XT1C is dual switch positioned at its tailcap that gives user quick access to particular mode. 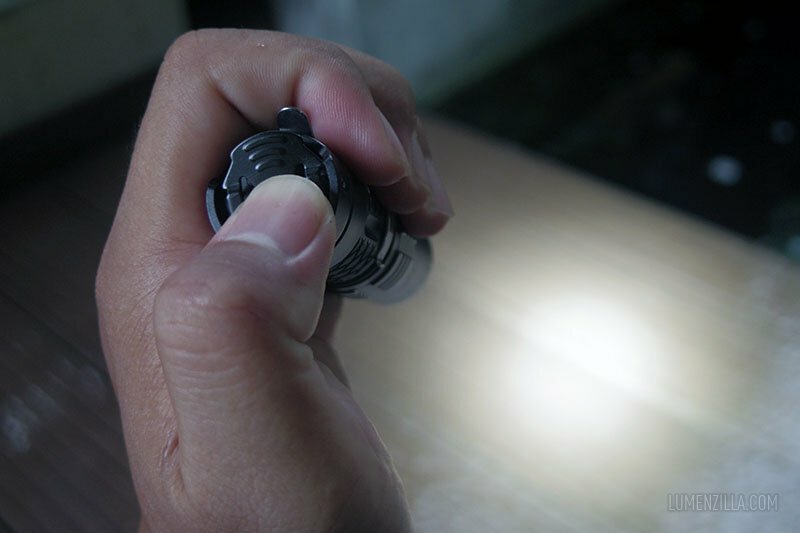 Primary switch (the round one) is used to activate the flashlight that always starts in High mode when used in tactical program. Secondary switch, the one looked like a flapping panel, is used to switch mode (High – Med – Low) and quick access to strobe mode (from off). In adventure mode, flashlight also starts on High mode but the next cycle will be Low – Medium – High. While secondary switch gives access to Low mode directly. Talking about tactical usage, while I’m not a LEO nor tactical guy, I found that the clicky sound is too loud despite it uses electronic switches. 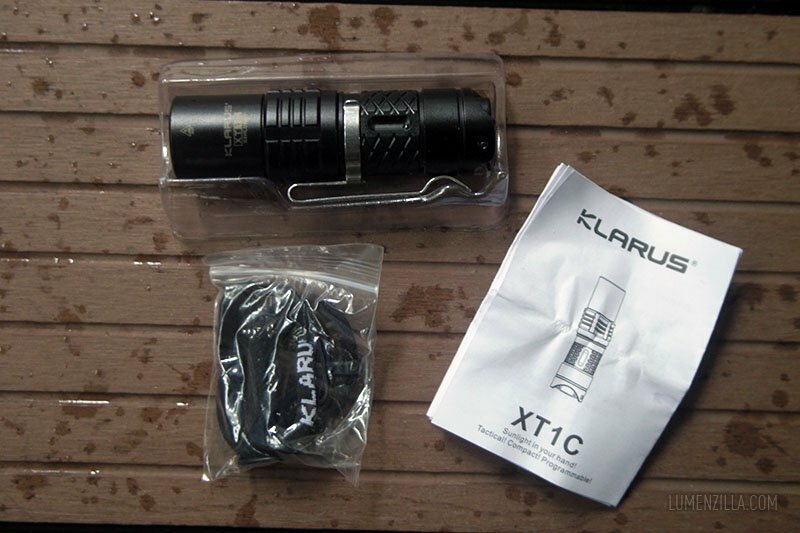 For the emitter, Klarus put nice XP-L HI V3 and smooth reflector that gives XT1C a bright 700 lumens output. 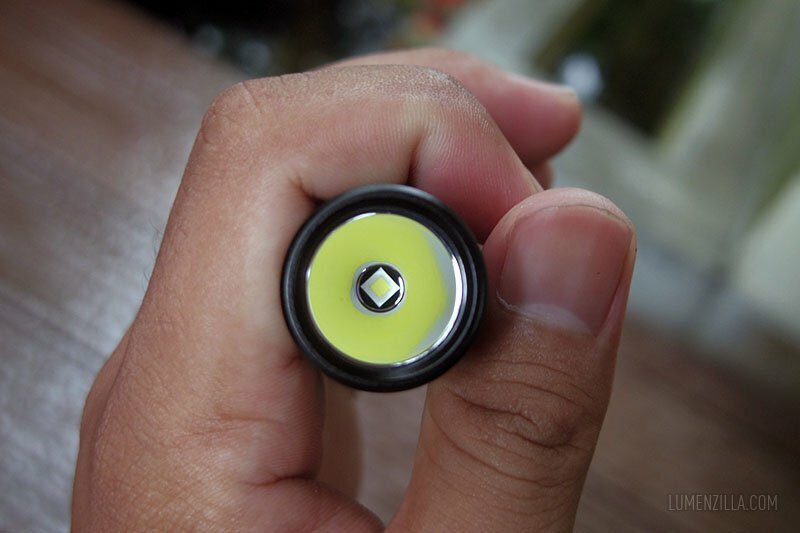 I haven’t tested my self if this flashlight really able to operate for 50 minutes in high mode as written on specs. Hopefully I can finish my “flashlight runtime tester” in the near future to check it. Operating Klarus XT1C is pretty straight forward. Default configuration is tactical program, so I’ll write about operating XT1C in tactical program first. Click the primary (round) switch to turn on the light on high mode, then click the secondary switch to change to medium mode, and click again to switch to low mode. When the light is off, secondary switch is used to activate strobe mode temporarily. If the strobe mode is activated for 2 seconds or more, you can release the switch and it will keep strobing until you click the secondary button again. To switch between tactical and adventure program, turn on the light then click and hold primary switch for 5 seconds until the LED’s blinking. Still holding the switch, press secondary switch to select program. Blinking one time means you’re using tactical program and blinking twice means you’re using adventure program. Clicking primary switch will activate flashlight in High mode but the next sequence will be Low – Med – High, while the secondary switch gives access to Low mode directly. Unfortunately, I haven’t finished editing beamshot photos so please check this blog again tomorrow to see beamshots and my summary for this Klarus XT1C.